Buy York Active 120 Treadmill online from Complete Gyms. See our other Cardio products. There is 13 different programmes that this treadmill offers: 1 manual, 6 speed and 6 incline programmes. 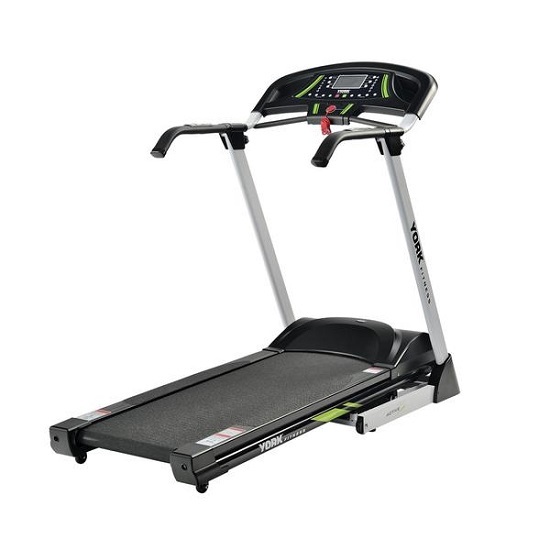 It is perfect and an extremely impressive home treadmill that will fit perfect in your living room or bedroom if your plan is to loose weight or get fit. Max user weight 110KG (242.5 LBS). Heart rate sensors found on the arms. Handgrip keys for speed & incline. 41 x 120cm (16.1 x 47.2 inches) running surface. Folds away to save space.